n 1968 Bobby Kennedy was running for the presidency when his life was (spoiler alert) horrifically cut short by an assassin’s bullet. 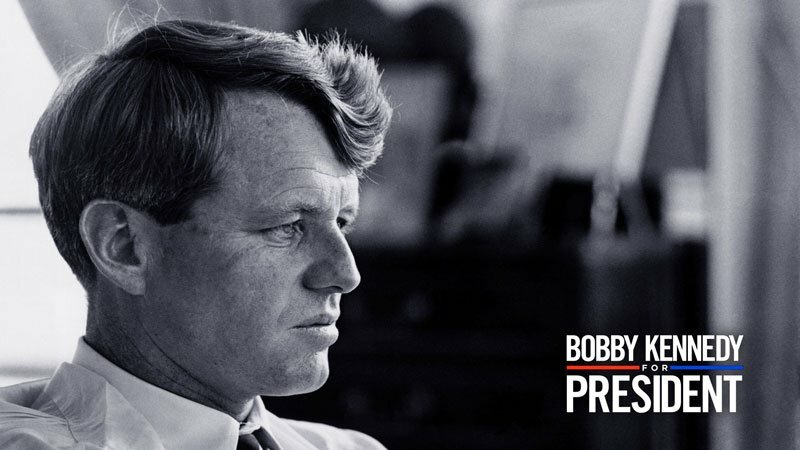 Fifty years later, award-winning writer/director Dawn Porter (“Gideon’s Army,” “Spies of Mississippi,” “Trapped”) delivers a powerful four-part original documentary on his 83-day run with “Bobby Kennedy for President,” premiering Friday, April 27, on Netflix. For those old enough to remember, the documentary is a fascinating look back at a man who seemed destined to finish the work cut short by the assassination of his brother, President John F. Kennedy in 1963. For younger viewers, it is a stunning examination of a nation, not unlike today, in utter conflict, and in desperate need of someone who cares about injustice and inequality in a world gone mad. Poverty, civil unrest, racial discord, Vietnam, the assassination of Martin Luther King: the list goes on and on. Luck intervened when a friend of Porter’s alerted her to ABC’s archival library, which housed numerous cans of rare and never-before-seen archival footage that they weren’t going to digitize. Netflix gave her the budget to take a leap of faith in hopes of finding magical moments within. And there turned out to be many. Over the four episodes, Porter interviews Kennedy confidantes and staffers, such as Harry Belafonte, Rep. John Lewis, Rep. Neil Gallagher, Dolores Huerta, Ambassador William Vanden Heuvel, Paul Schrade, Marian Wright Edelman and Peter Edelman – revealing what America gained and what it lost in the life, vision, politics, and enduring legacy of Bobby Kennedy. In the current political climate, it’s mesmerizing to witness the caring and selflessness of Bobby Kennedy, a man who came from one of America’s wealthiest families, and recognized how important it was to give back to the country that gave him so much. Though he wasn’t loved by all, it seems clear that he had deep affection for the less fortunate. “As a parent, I really took that to heart,” says Porter. “What you instill in your kids really is important. And make sure that they see that to whom much has been given, much is expected. And those (Kennedy) kids really took that to heart. Peter Edelman talks about Kennedy returning from a trip to a poverty-stricken stretch of the South and coming back and having dinner with his young kids and telling them “It’s up to you all”… to keep looking at these problems and not isolate themselves. From breaking the hunger fast of Cesar Chavez to helping get Dr. King out of jail, Kennedy embodies compassion to the bitter end. Fifty years later, Bobby Kennedy still feels like the right man for our time.